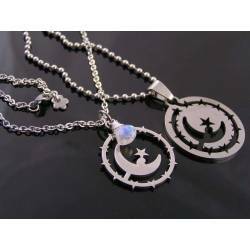 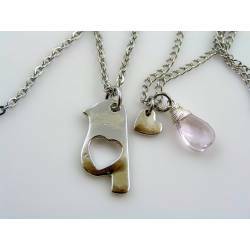 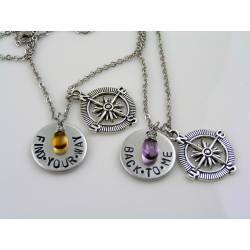 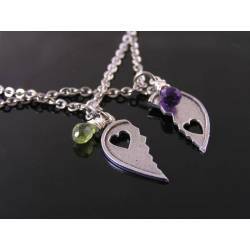 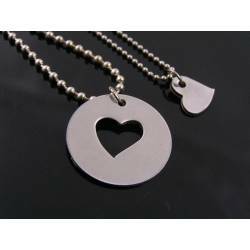 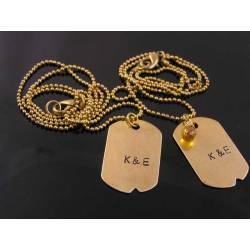 Another variation of my popular couple/partner necklaces. 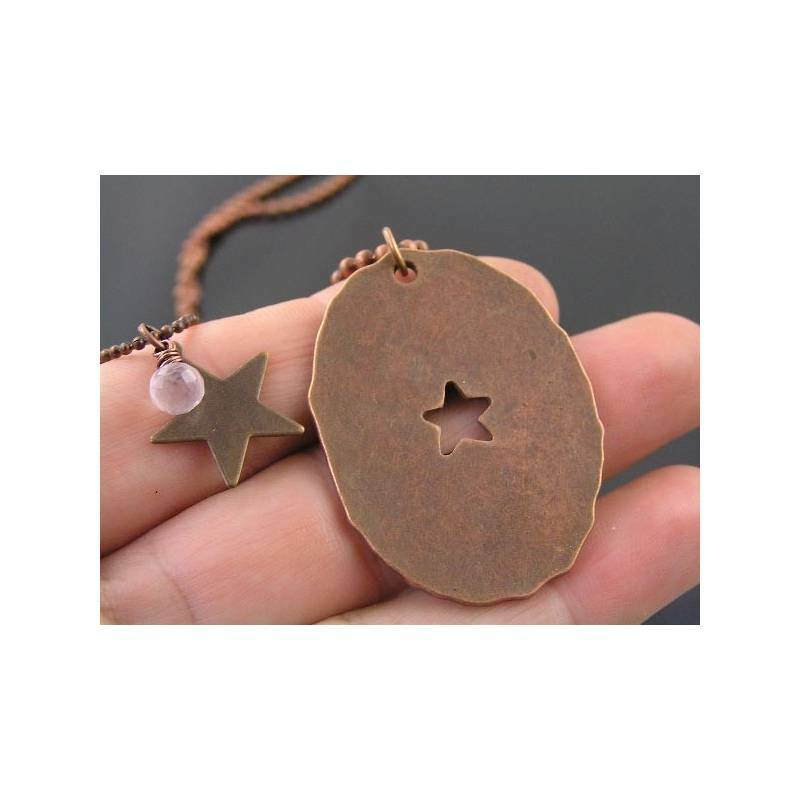 This one is in stylish antique copper. 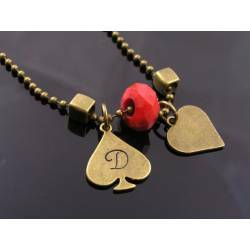 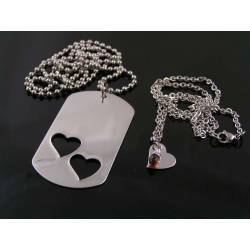 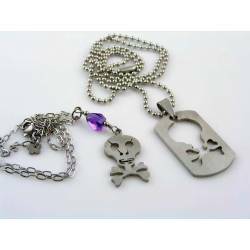 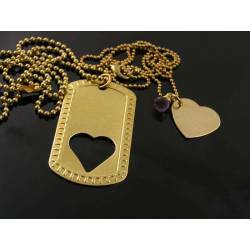 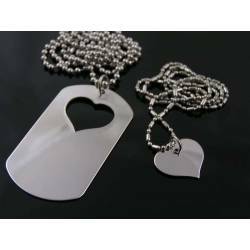 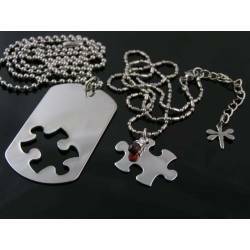 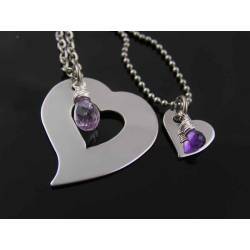 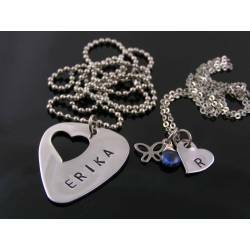 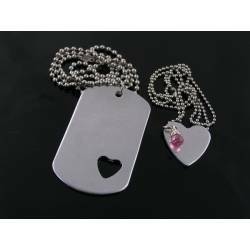 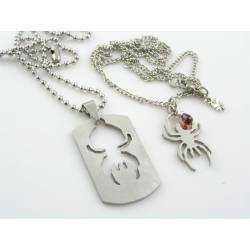 Available is here another option of the popular matching couple necklaces. 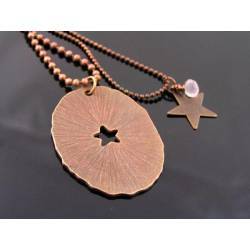 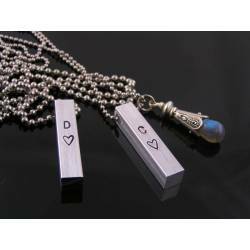 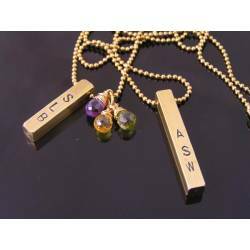 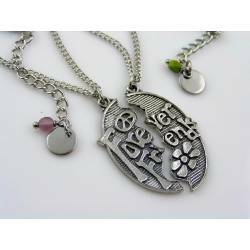 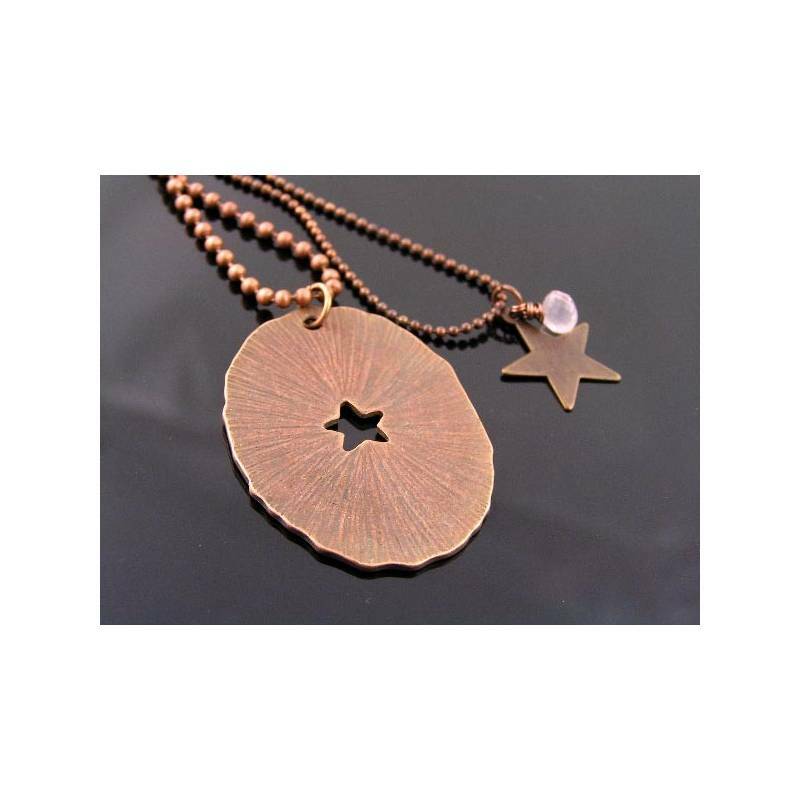 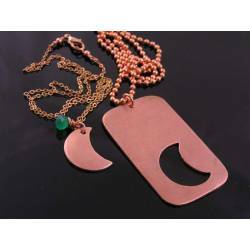 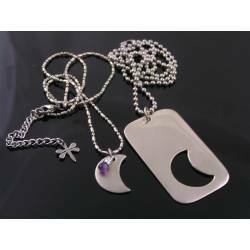 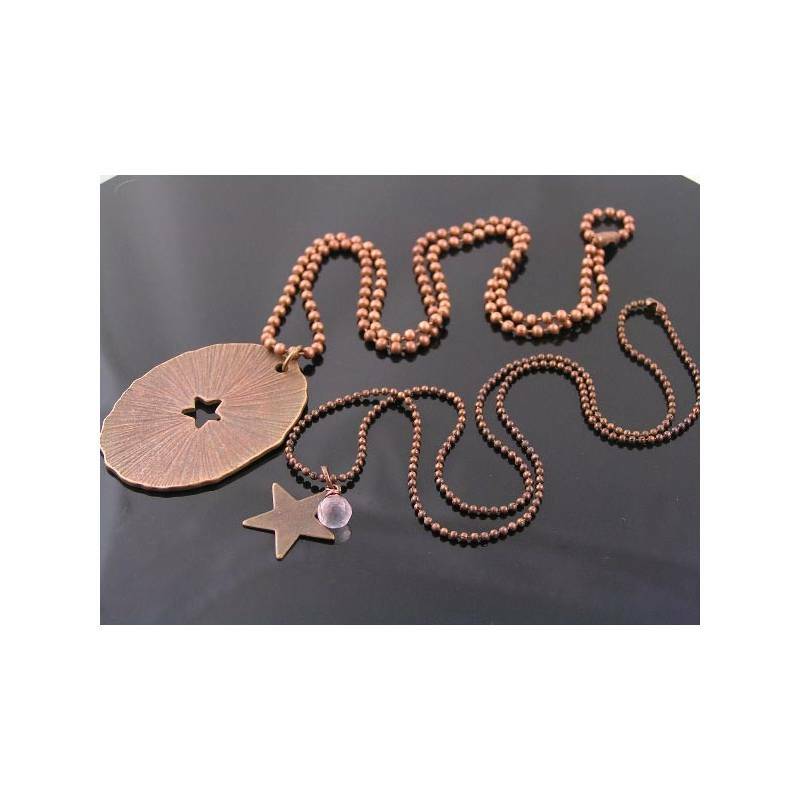 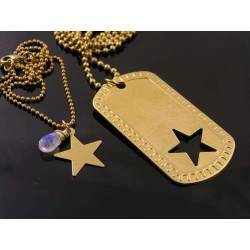 This combination has a large (3x4cm) oval pendant with a cut out star on a 55cm long necklace and a small (15mm) star pendant together with a Rose Quartz drop on a slimmer 45cm long ball chain. 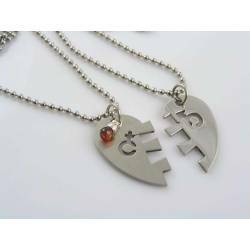 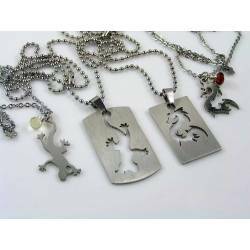 * The last photo shows other options of matching couple necklaces available in my shop.